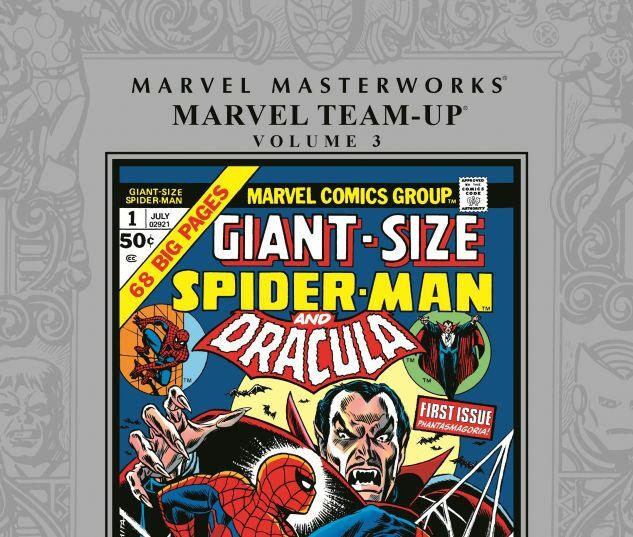 Collects Marvel Team-Up (1972) #23-30 and Giant-Size Spider-Man #1-3. With his popularity skyrocketing, Spider-Man became comicdom’s top seller — and fans wanted more, more, more! MARVEL TEAM-UP provided a second monthly dose of Spidey action with the added bonus of a new heroic guest star every issue. 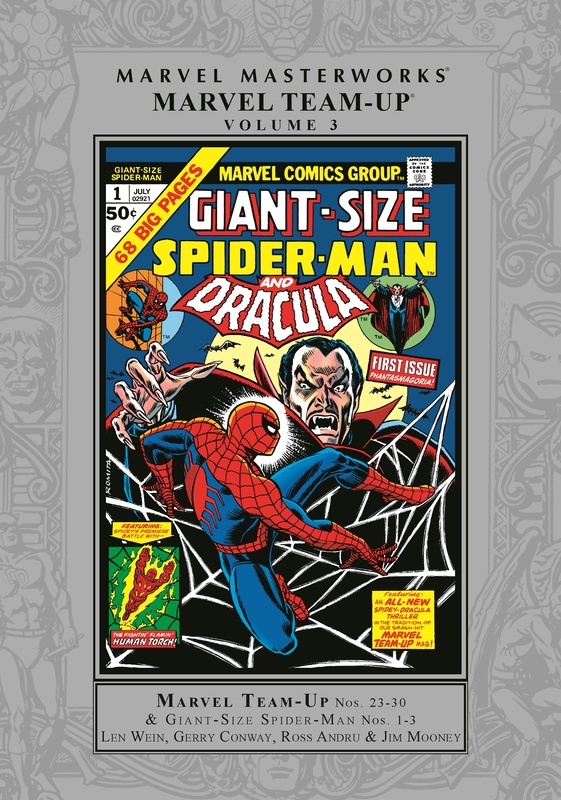 When even that wasn’t enough, Marvel launched GIANT-SIZE SPIDER-MAN, featuring double-sized extravaganzas! And lucky you, they’re both being collected here! 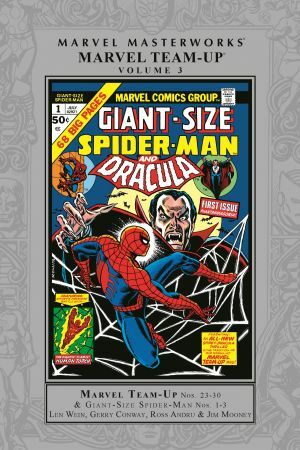 The action includes adventures with Daredevil, Shang-Chi and the Falcon; horrific tales featuring Dracula and Brother Voodoo; and Spidey vs. the Hulk! And while Spider-Man takes the stage in GIANT-SIZE, the Human Torch teams up with Thor, Iron Man and the X-Men! It’s all brought to you by some of the greatest writers and artists Spidey has ever known!